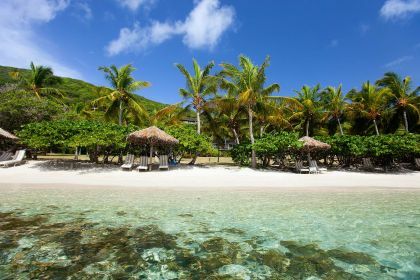 If you like diversity with your yachting vacation, then the British Virgin islands (BVI) could well top your itinerary. Located in the north-eastern Caribbean, it’s an archipelago of around 60 islands, cays and islets offering a myriad of holiday activities. These striking islands with their crystal-clear water and golden beaches bring the best of the tropics to your doorstep: think temperate weather, stunning flora, awe-inspiring vistas, gourmet restaurants and stylish bars. Reaching them by yacht is also a pleasurable and calm experience; the trade winds moderate the climate, as well as the nautical approach. 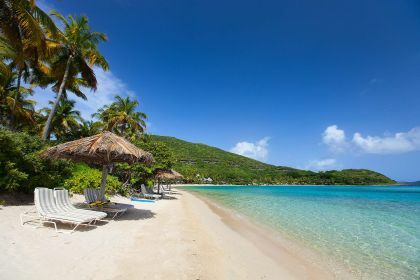 Jost Van Dyke is the smallest of the four principal British Virgin Islands, but is nevertheless oddly dubbed “the New York of the Virgin Islands”. Perhaps because the southern region is host to some of the best local restaurants, predominantly located in Great Harbour. Of particular note is the acclaimed Corsairs Beach Bar & Restaurant with its sumptuous fusion menu. There is also scuba diving on offer, offering imposing rock formations, tarpon, eagle rays and a wide variety of fish. For foodie delights, try the Sugar Mill Restaurant or BananaKeet Café, offering delectable fish, scallops, crabs and memorable cocktails. Beyond these attractions, some of the most interesting diving sites are located here, along with with turtles, bottom-feeding nurse sharks, lobsters and eagle rays. Tortola, as the largest and most populated of the British Virgin Island, builds on Jost Van Dyke’s offerings. Ever wanted to swim with dolphins? Well, you can do it right here, along with some pampering at outstanding spas. 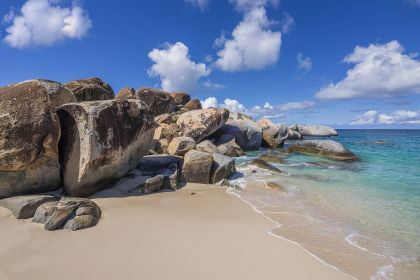 The last of the two remaining British Virgin Islands, Anegada and Virgin Gorda, show off with their views of forever, and offer exhilarating underwater adventure with the shipwrecks, coral formations, turtles and rays that abound in many of the islands’ numerous diving sites. 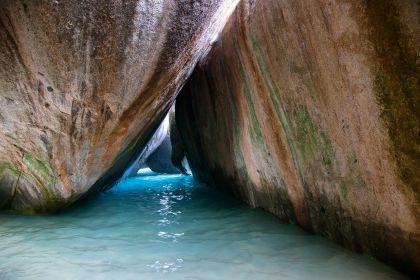 Virgin Gorda also offers some of the world’s most famous swimming baths: fancy taking a dip in crystal-clear water, surrounded by majestic boulders with enticing grottoes and crevices to explore? The variety of local aquatic life is an added attraction. Contact your friendly Abberley charter broker by filling out this form or by giving us a call. Choose from the yacht best suited to your needs and we’ll do the rest — down to the smallest detail. We will fulfill our promise to bring the British Virgin Islands closer to you.